We as women are constantly on a quest to find the latest product, the best exfoliator, the most fragrantly pleasing perfume. We have all come across many brands in our life, some good, some awful, and some unforgettable. Rituals is definitely a brand in which I’d store under the Unforgettable label. I am hugely grateful to have been particularly bored in Bromley on that one quiet Thursday Afternoon. As I found a wonderful haven of exotic remedies with wonderful results of soft feet, glowing skin and a huge grin from ear to ear. In this post today you will find out everything you need to know about what the wonderful company has to offer. Rituals is a luxury body and cosmetics company that was founded by Raymond Cloosterman in 200. Rituals base their products on the soul ethos which is to bring happiness and luxury to the simplest of everday events from a morning shower to an a cup of tea. They produce organically, dermotologicaly, non animal tested, products such as body and facial care, to organic cotton ware, scented candles, perfumes, gemstone make-up and tea. The products are inspired by nature, made from organic and renewable compounds that are both friendly to the environment and the skin. They offer a range of products that cater from men and women of any age as well as a mother and baby range. This brand is a truly family friendly range and I guarantee that you will be able to find a product that you love. The products are all easy to view on the website, everything is meticulously organised and arranged in categories. The website also displays details on the directions of use, details, and ingredients of every single products. The products are all easy to open, the ext has good colour contrast and the bottles all have a distinct shape, the ranges a distinct colour. The only thing that would improve the accessibility would be if there was braille on the packaging. They are all easy to apply and to use, the products have good instructions on the website and they all leave a pleasant after smell. They are great value for money, the gift sets especially. I would highly recommend investing in them. Absolutely amazing! So Indulgent, the products makes me smell and feel like a walking spa. They give an exotic scent to the skin and produced amazing results. The rituals comes in a great set in a deep pink, which would look amazing as a gift for anyone feminine and girly. The range comes in a body foam, body scrub, shampoo, body cream, deodorant and much more. Refresh and renew yourself with the wonderful range with the fragrance of Rosemary and Eucalyptus. The Hammon range is one of the oldest cleansing traditions in the world all the way from the Eastern world. The range achieves complete cleanliness and a touch of Turkish Bath magic in five steps to achieve purity, softness, nourishment to the skin. This range reminds me of being in Turkey and having a total detox in the form of a Turkish Bath. The range comes in a body foam, salt scrub scrub, body mud , body cream, fragrance and much more. Click here to view the Hammon range. Enjoy the soft, subtle and soothing aromas of Cherry Blossom and Rice Milk in the Sakura collection. This range is absolutely perfect for the upcoming Spring Months as it truly embodies the feel of spring. The scent is delicate and fresh and will make you feel feminine and purified. The range marks the falling of petals to the ground. You fancy an update to your wardrobe, a new start, a new job? What not start the spring as you mean to go on and invest in the Sakura range to mark a new chapter in your life. The range comes in a shower foam, sugar scrub, essential oils, shampoo, body cream, body fragrance and much more. I have recently invested in a body set. Click here to view the Sakura range. Feel calm and distressed with the fragrance of Whit Lotus and Green Tea in this Tao range. The tao range has a deeply soothing feel to the collection and is designed for the purpose of luxury and relaxation. The Tao range allows a person to achieve a sense of Yin and Yang. The Tao range comes in a variety of products including body and foot treatments, oils, body mists and a relaxing anti headache serum. Click here to view the Tao range. Gain a sense of cleanliness and vitality with the range of Bamboo and Japanese Mint. The name Tatsu is acclaimed to be inspired by the symbol of the dragon in Japan. The symbol of the dragon embodies beauty, purity and protection. This Tatsu Rituals range aims to achieve these three things, with this refreshing concoction of products. Tatsu cleanses the skin to give you a sense of purity and strength. These products would be ideal for sports fanatics, hot summers and will serve as good gifts for both men and women. The Tatsu range comes in a variety of products including creams, body washes, body scrubs, shampoos, body gels and much more. Click here to view the Tatsu range. 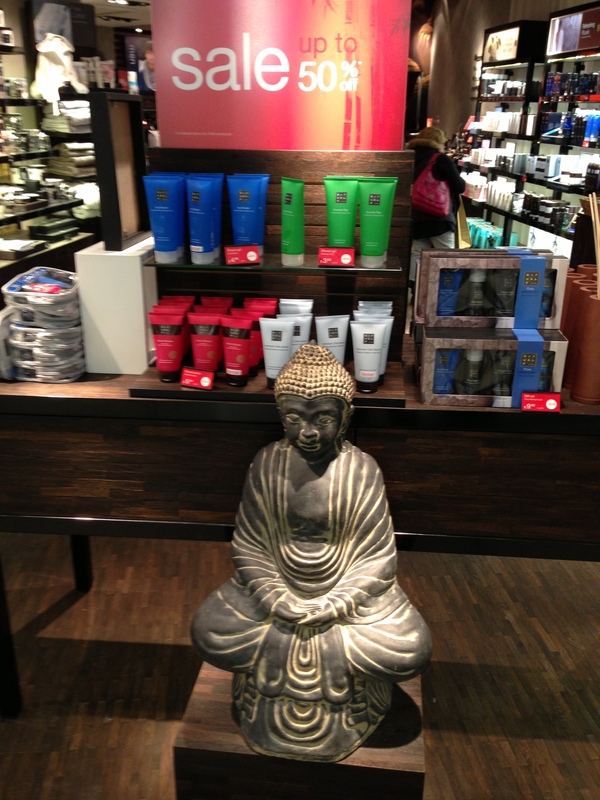 Rituals also offers a range of male products including skin care, shaving, hair products, clothing and general grooming. Click here to view the male products. 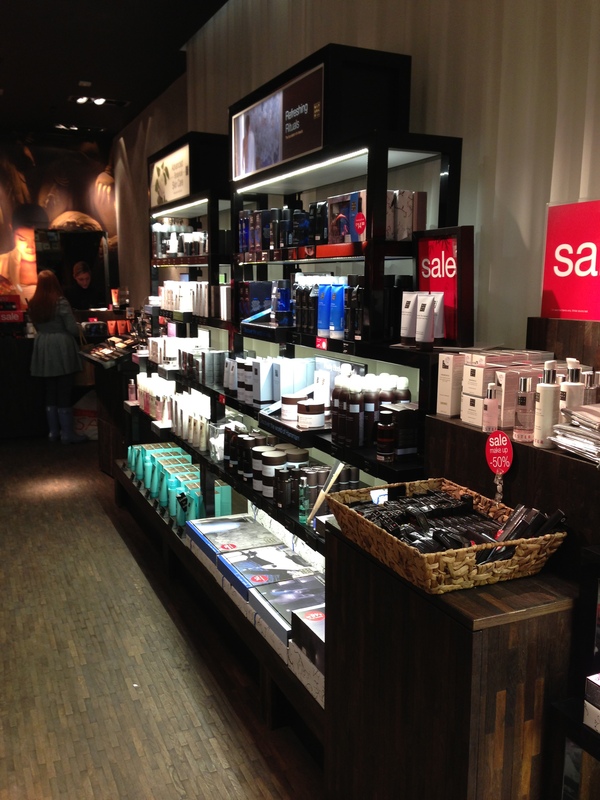 Rituals also offers a range of make up products from nail polish to eye make up. They are all enriched with 100% gemstones and free from perfume and parabens. The products are completely made from natural minerals to create a natural look. 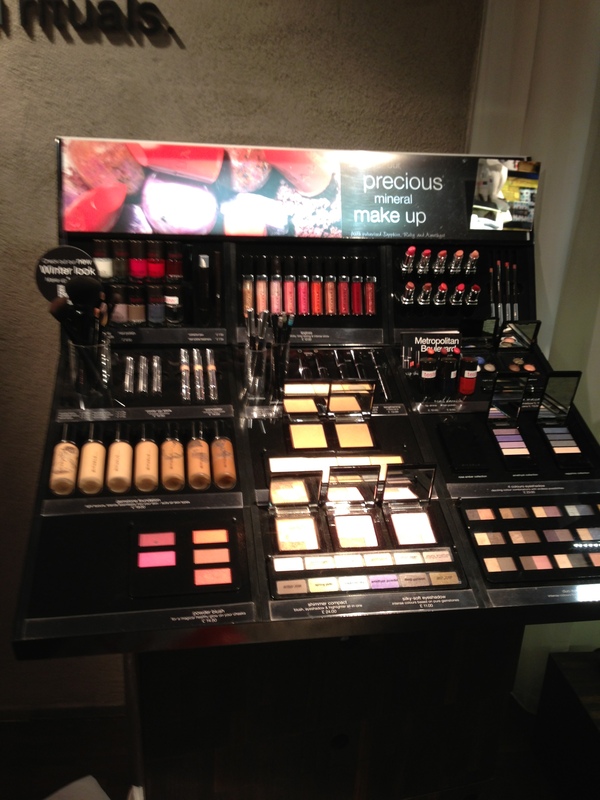 Click here to view the make up products. 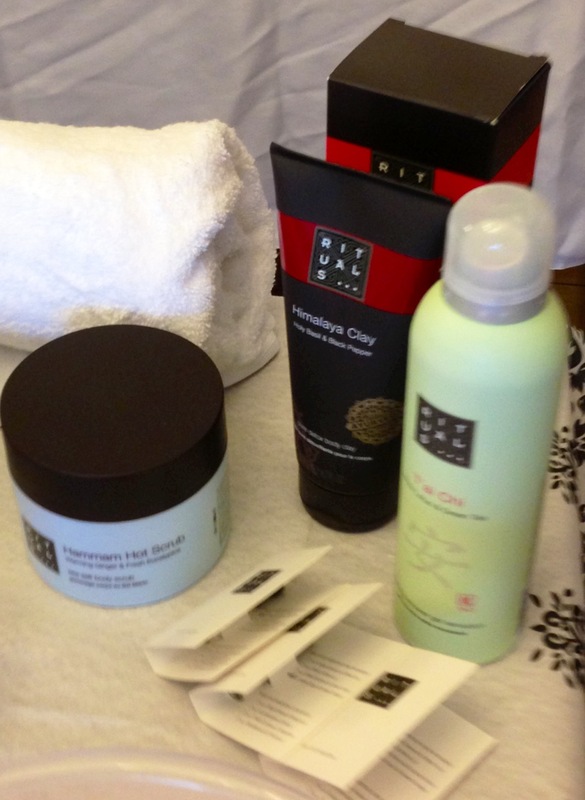 Rituals also offer products for the home. Being a VI I love both for myself to smell nice as well as my home. Rituals offer a range of home products such as scented candles and home fragrances. 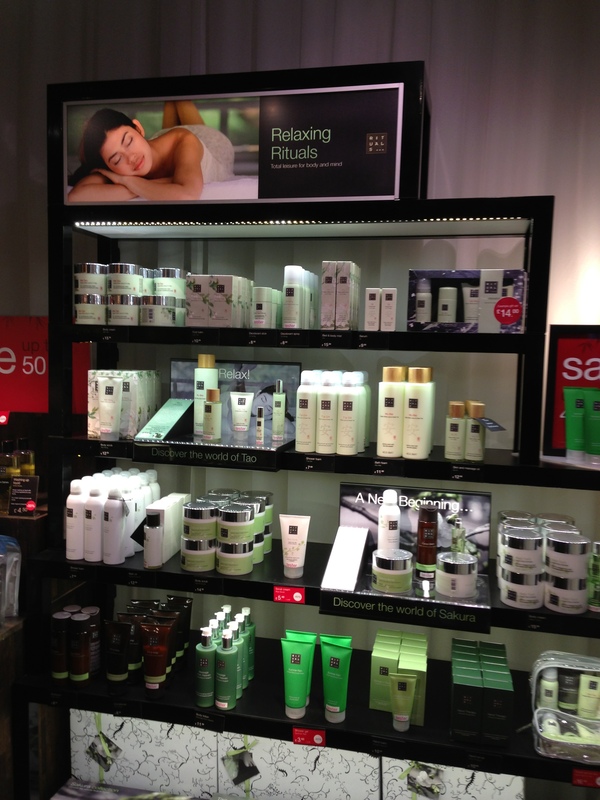 Why not make a shopping trip to rituals and make your home into your very own SPA. Stepping into rituals with the fragrant natural smells from the East is truly like stepping into another mystical world. Why not transfer that to your home? They offer a range of home products such as scented candles, teas, washing up products and fragrance sticks. Click here to view Rituals home products. The packaging has good colour contrast, blue against black text. The tub is sturdy and easy to open. The only thing that requires improvement is that there would be a benefit if there was braille. The products is easy to apply and washes off quickly, the result is that the skin is left feeling naturally clean and soft. Excellent value for money, considering that they usually have offers available. Absolutely Superb! The product smells exactly like a Turkish bath, talk about pure luxury. The bottle has good colour contrast, green against black text, as well as having easy access to the dispenser which acts like one on a shaving can. The can is indestructible, so is safe to use when in the shower. Again the one thing that could be improved on is having braille on the packaging. The product is easy to use, foams well and washes off easily. It would also be a useful product when shaving. Excellent value and it lasts for an exceedingly long time due to the foam of the product. One pump is enough to use on the body. Amazing! It smells fantastic and it leaves a pleasant after smell in the shower. You’re bathroom will feel as if it has been transformed into an exotic spa. The product can be applied smoothly, however one must check that it has been completely washed off after leaving it on for five minutes. Very good value, the product would be perfect for the Summer Months. I absolutely adore this product! It takes pride of place in the bathroom cabinet. The box is easy to open, there is good colour contrast with black background against white text. The box is slightly glossy so may be slightly slippery to hold. The one thing that could be improved on is that the products have braille on them. The product is easy to apply and the colour is delicate and subtle. It’s a wonderful colour and very natural looking. The shop was large, well lit and spacious. The planning was easy to navigate with my Guide Dog and would be equally accessible for someone traveling with a Guide Dog or Long Cane. The products were displayed neatly and there was a testing sink directly in from of the entrance. There was no door to open which made it easy to navigate. The staff were all very helpful, accommodating and very more then generous with the samples. They gave great advice and recommendations and they were all knowledgeable about what products would suit a person best. It was like entering a calm oasis, without that whole annoying hard sell element. There was honestly a sense of liberal buying and testing in the store. There was a whole testing sink where you could try out the scrubs, washes and creams all with clean towels and the products were all neatly and accessibly displayed. There was also a perfume testing bar in which the products were all spaciously placed and easy to access for testing. The products were all wonderful fantastic for money. Rituals also regularly have special offers and promotions available online and in store. Click here to find the latest promotions. So, there you have it, this Spring the Fashion World is taking a mystical trip to the East. Why not allow your body and soul to do the same. Find your own Ying and Yang in Rituals Organics just like I found mine. I used the Rituals foot products, which consisted of a sample sized foot scrub and foot cream which made my feet feel and look brand new. The body scrubs are amazing and leave your skin feeling soft and supple. My most favourite product from Rituals has to be the Ginger and White Tea perfume, which I tried in a sample. I must purchase the full size product. 50 ml retails at £36.